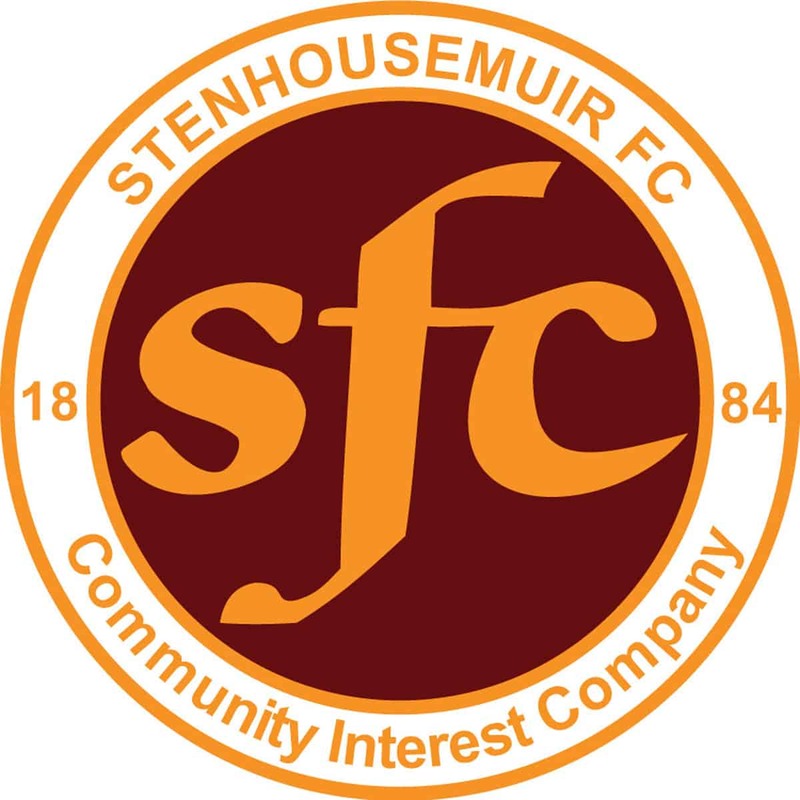 Stenhousemuir – Smith [McMinn h/t], Meechan [Scott h/t], Donaldson, R.Dunlop, Marsh [Longworth h/t], M.Dunlop [Gracie 71], Blockley [Ferry h/t], Ross Gilmour [t], McMenamin [McGuigan h/t], Halleran [Sinclair h/t] and Ferns [Reece Duncan 71][t]. Greenock Morton – Gaston [McGowan 76], Hynes [Anderson 76], Murdoch [Langan 63], Lamie, Doyle, Harkins, Forbes [Tidser 71], Thomson, McHugh [Oliver 71], Tiffoney [Armour 63] and Strapp [Russell 29]. This was the first game in the rebuilding process for the Warriors with only three players left from last season. Their opponents were Greenock Morton who were a more settled team and are looking to improve on their performance of last season that saw them just lose out on the promotion play-off to the Premiership. The Greenock side had two games prior to this meeting albeit behind closed doors but this allied to the fact that they train full time meant that they were more up to speed than Stenhousemuir. Nevertheless it was the Warriors that created the first opening when a run by Forth Valley Academy graduate Thomas Halleran ended with him forcing Derek Gaston into the first save of the game after seven minutes. Two minutes later Robert Thomson who was one of the newcomers for Morton impressed with a sharp turn and powerful drive that went just over the bar. Another fresh face in the Morton ranks Bob McHugh created a chance a couple of minutes later but his shot was cleared off the line by David Marsh who had read the situation well. As time went on Morton had the bulk of the play but they were unable to breakthrough a well-disciplined home defence which was one of the pluses to take out of the game for Stenhousemuir manager Brown Ferguson. Andy Murdoch came close in the 35th minute with a strike that took a slight deflection and Chris Smith did well to keep it out Eventually though Morton did take the lead in the 39th minute and it was a screamer from McHugh that gave Smith no chance of saving. Stenhousemuir responded with Ross Meechan dispossessing Mark Russell and he slotted the ball through to Eddie Ferns who hit a first time shot that Gaston pushed out for a corner. In the second half Morton took the initiative from the start and Thomson headed a Murdoch cross just wide after having to stretch to meet it. It was then followed by a Gary Harkins effort just over. The second goal was not long in coming though and it was Thomson who did the damage when his header took an eternity before landing in the net as he continued his impressive goalscoring exploits against the Warriors over the years. Once again the home side responded and Mark McGuigan’s effort was saved by Gaston in the 61st minute. Shortly after this the keeper was lucky when his kick out was blocked by McGuigan at close range but the ball ballooned up into his arms. Morton scored their third in the 70th minute when Ben Armour dispatched a rebound after a long range curler from Michael Doyle had struck the upright. The Warriors were reduced to ten men when Ross Dunlop picked up a knock stopping a shot just after Stenhousemuir had used all their substitutes. Morton could have extended the score before the end but Lewis McMinn denied them with a couple of fine stops in the closing minutes. All in all a decent workout for the Warriors who won’t come up against many teams of Morton’s quality. There is clearly work to be done though before the competitive action starts.